Sommeren 2005 padlet Stephen Robert Løken Norge på langs alene. Han startet på Lindesnes i sør, og 119 dager senere rundet han Norges nordligste punkt: Knivskjellodden og så Nordkapp. Underveis drev han informasjonsarbeide for ME-saken. På denne siden kan du se ruten Stephen Robert Løken tok underveis, og bilder fra turen. Hele denne hjemmesiden er på Norsk bortsett fra denne siden. 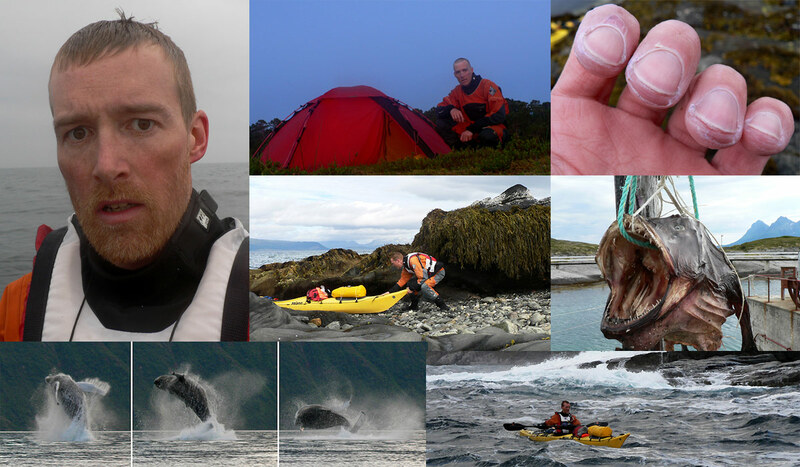 During the course of the summer of 2005 Stephen Robert Løken kayaked the entire length of Norway solo. He set off from Lindesnes which is the Southern most point of Norway. 119 days later kayaked past Knivskjellodden which is the Northern most point of Norway and indeed Europe, followed by the North Cape. While kayaking he spent time raising awareness for the ME-cause. You can read more about ME here. On this page, you can see the exact route he followed, and pictures from the trip. The rest of the site is in Norwegian. Here is the route Stephen Robert Løken took along the coast of Norway. The total length was 2.372 kilometers over the course of 85 kayaking days. That is 28 kilometers per day. In addition he had 34 rest/ bad weather days. More than half of these days were due to storms and heavy winds that made it impossible or dangerous to go to sea. A few days on the map are blank as a result of losing battery on the GPS or forgetting to save the route that day.